With the new year upon us, the team here at K9 Kitchen is so excited to introduce our Seasonal Decorated treats for the first quarter of 2019! It’s still winter here in Wisconsin, so we have Mittens and Snowflakes and Snowmen available to celebrate the bright / white time of year … we also have some really attractive new Valentine’s Day offerings for your bakery case as well as the whimsical and playful St. Patrick’s Day favorites which have become a tradition handed down from our roots at Two Paws Up Bakery. 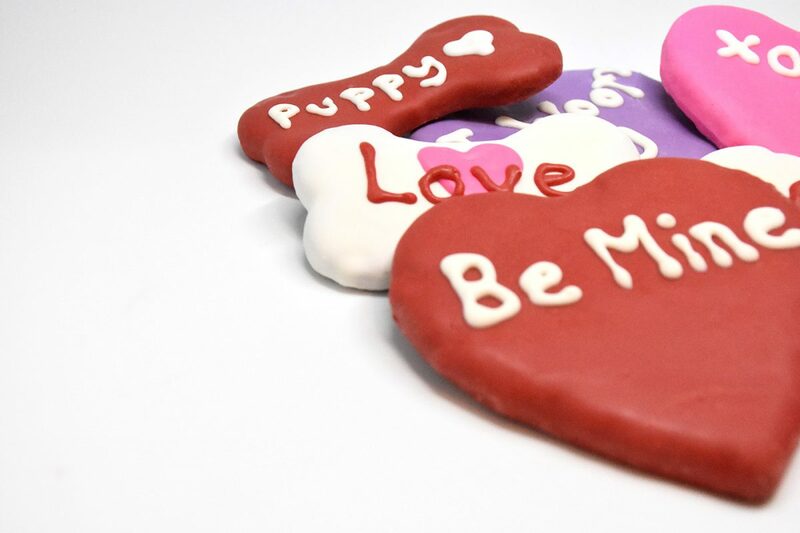 The Winter treats will only be available for a limited time, so place your order soon and have that special “I really do love you” goody ready for your wonderful pup at exactly the right moment! Discover Two Paws Up Treats in Columbus! Get your treats in Hartford, WI! Rover’s Resort gets Two Paws UP! Two Paws UP at DePAWsitory! If you would like to know "What's Cookin'" at the K9 Kitchen, sign up below for our email newsletter. Your personal info is safe with us, we never release your contact info for marketing purposes. © 2019 - CJR Ventures, LLC. All rights reserved.